As the U.S. is in the midst of one of the worst outbreaks of influenza in years, frightening reports are coming in regarding an FDA-approved drug being given to allegedly lessen the effects of the flu: Tamiflu. 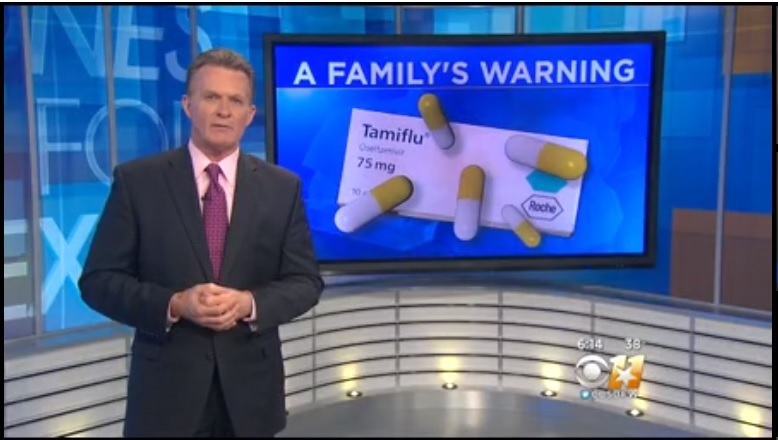 Local CBS news affiliate DFW in Dallas, Texas, has reported the story of a 6 year old girl who was given Tamiflu and suffered horrible hallucinations, allegedly trying to kill herself. The family from Allen, who wants to remain anonymous, says the side effects were stunning: hallucinations, running away from school and an attempt, they believe, to hurt herself. “The second story window was open, which is in her bedroom, and she used her desk to climb up onto it, and she was about to jump out the window when my wife came up and grabbed her,” her father said.